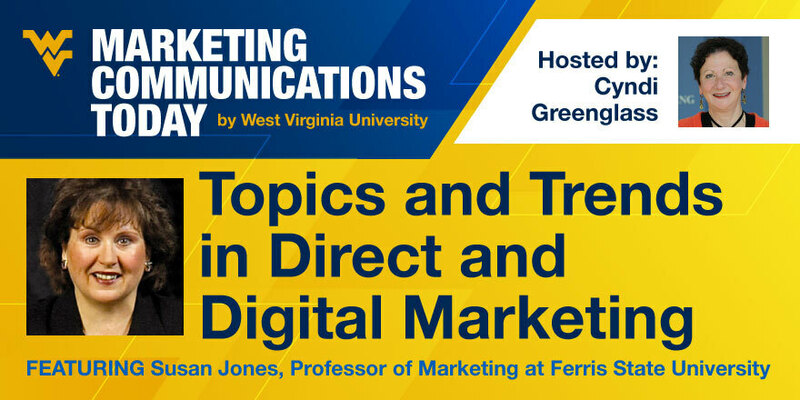 Today we will discuss the continued move toward the integration of direct and digital marketing and the balance of online and offline media focused on the consumer. We'll talk about trends in database marketing, and how a creative person can uniquely contribute to the use of insights from the database I also want to touch on the current climate regarding consumer privacy concerns. Host is Cyndi Greenglass.